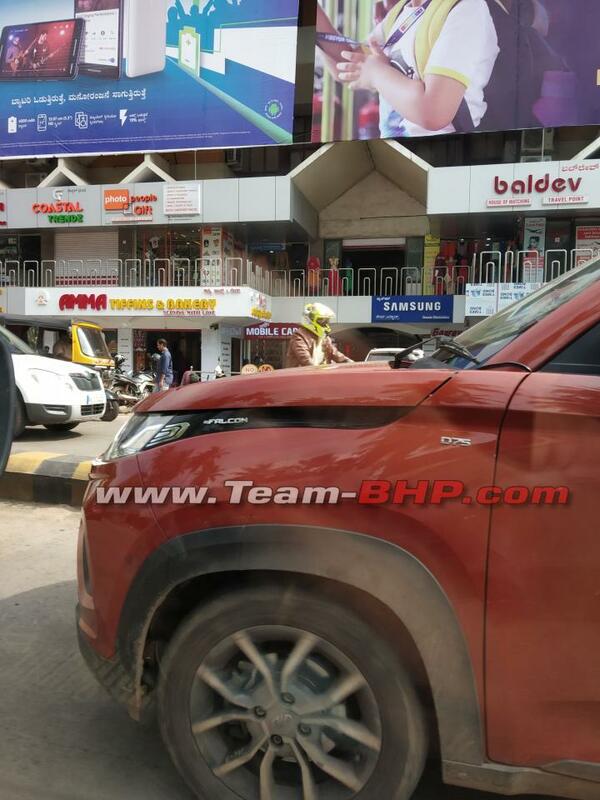 The Mahindra KUV100 NXT diesel autoSHIFT AMT, which is said to reach the showrooms later this fiscal, was recently spied sans camouflage on the roads, courtesy Team-BHP reader Dr. Shree Harsha Thulapule. No camouflage or disguise while on test on public roads is generally an indicator of an impending launch, and the company. Unlike Maruti and Tata models, which use Magneti Marelli-sourced AMT units, Mahindra models feature AMTs sourced from UK-based Ricardo. 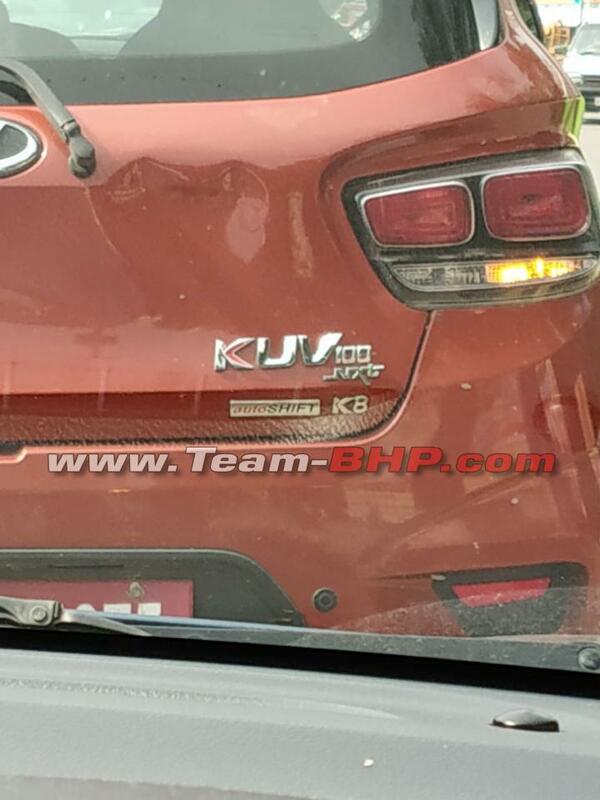 The Mahindra KUV100 NXT diesel AMT will look exactly like the manual transmission-equipped variants, with the only disparity arising out of the ''autoSHIFT'' badges on the tailgate. The AMT unit for the new model will be sourced from Ricardo. It should offer 'creep' and 'economy' modes, but hill hold assist is unlikely. The test mule is in the top-of-the-line K8 grade, but Mahindra could offer the AMT option in lower-priced grades (K2/K2+, K4+ and/or K6+) as well. Powering the diesel-AMT model will be the same 1.2-litre mFalcon D75 engine that propels the manual transmission-equipped version. This engine outputs a maximum power of 77 bhp and a peak torque of 190 Nm. Earlier spy images have revealed that the Mahindra KUV100 NXT diesel AMT will feature a dashboard-mounted gear lever. Visually, the gear stalk will be similar to the one on the Mahindra TUV300 AMT. At the launch of the mid-cycle refresh for its micro-SUV, the company had confirmed plans of launching AMT option in both petrol and diesel engine models. That said, it's now being reported that the AMT option will be initially available only in only the latter. Other than 'autoSHIFT' badges on the tailgate, there won't be any visual elements to differentiate the AMT-equipped models from the manual versions. Following the launch of the KUV100 NXT AMT, the company will introduce the e-KUV100 with a zero-emissions pure electric powertrain. Mahindra claims that the electric version of the micro-SUV will offer a driving range of more than 140 km on a full charge. Moreover, it will be possible to charge the battery pack to 80% of its capacity in less than 60 minutes through a fast charger.